One of the most common questions businesses have in regards to social media is how often they should post. On each social network there is an approximate frequency of posting that optimizes a businesses ability to connect with followers, but exceeding this amount results in driving away followers all together. Figuring out what level of frequency is optimal for each network is partly science and part an art. Social media success requires a lot of experimentation and attention to analytics, so make sure to experiment with the frequency for your business’s posts and refer to analytics to better understand the results. SocialBakers looked at several major brands’ posting habits on Facebook and found that on average they posted 1 time per day. It was also found that posting 3 or more posts per day negatively affected engagement and led to loss of page likes. Due to the mass popularity of Facebook worldwide, algorithms have been put in place to filter out posts and display what Facebook feels each user would want to see. Simply put, if users are not engaging with posts from a business then they will stop seeing the posts all together. The good news is the frequency of posting required on Facebook is significantly lower than a networks such as Twitter, so businesses can really focus on posting high quality content. Tip: Experiment with different types of posts. Some users prefer seeing primarily videos or photos on their feed, so sharing content in these forms increase the chances of it being feature on their timeline. Unlike Facebook, Twitter does not filter out posts. 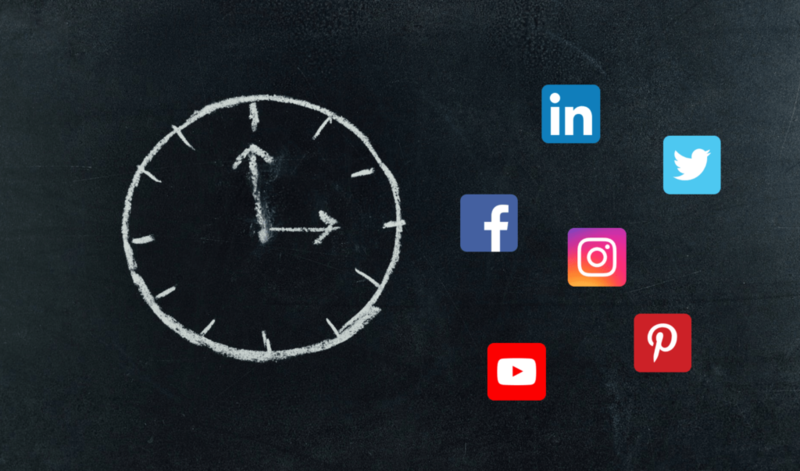 This causes the lifespan of posts to be significantly shorter, 2 hours to be exact (though this number can be reduced to just minutes depending on the number of people a user is following). At eClincher we try to tweet about 8-12 times per day, not including replies and retweets. Track social analyzed the success of tweets and found the sweet spot for most businesses to be between 4-15 tweets per day. Due to this large range of frequencies, it is crucial to experiment and find the right amount for your business. If your business is global, you will probably post closer to 10-15 tweets per day in order to cater to different time zones. If you are a local business, tweeting 4 times a day may be plenty. Ideal frequency of posting on LinkedIn, as described by LinkedIn themselves, is 20 times per month. A simpler way to look at this is 1 post per day during the week. Weekends are not a great time to post on LinkedIn due to the professional nature of the site. Most users take a break on the weekend from LinkedIn, just like they do from work. Avoid too many promotional posts on LinkedIn, because it goes against the nature of the site. Share industry insight and news about your company for the best results. Post between 4-10 times per day. Pinterest is a high-volume network, so posting only a few times per week will not lead to much success for your business. Make sure to post high quality images and take advantage of vertical photos. Vertical photos take up a lot of screen real estate and are proven to have higher engagement. Tip: Use keywords in your descriptions. Even the best pin can get lost in the crowd. incorporate relevant keywords into the description to make it easier to find in searches. If possible, try to upload a few new videos each month. The use of videos is great for businesses, but it is not easy to produce videos, so your posting frequency will be lower than other networks. Make sure to promote your YouTube videos on your other social media channels to increase visibility. Tip: Do not forgot to add tags to your videos! Brainstorm a list of relevant tags and save them somewhere. Refer back to this list when uploading videos to quickly find relevant tags to include. Bonus Tip: Frequency is only part of the equation. Another important aspect of posting is timing. For example, motivational posts are typically successful early in the morning because people will share them with others to help motivate them to conquer their day. Posting at the most popular times of the day can sometimes be counter-productive, since there will be so much traffic. If you are not posting early in the morning (before 6:00 AM) or late at night (after 10:00 PM) because the traffic is lower, give these less popular time slots a try. Less competition could greatly increase visibility for your business. And We Can Make It Easy! As you can see, social media success requires consistent posting. Unfortunately, most people do not have the time to post all day, everyday. Luckily, eClincher can help! 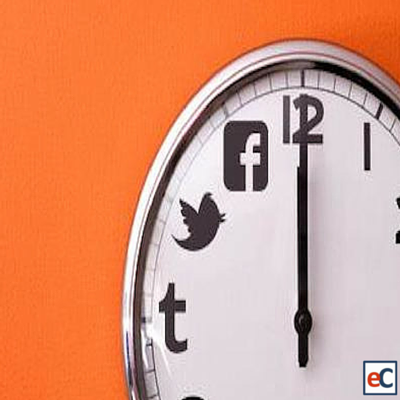 With eClincher you can easily schedule all of your social media posts ahead of time. Our smart calendar makes it easy to plan your posts to ensure they meet the ideal frequency. Our powerful analytics will also help you understand when the best times are to post on social media, based on your unique audience. Interested in trying out eClincher? Start your 14 day free trial today!